Tom and Ann Early were introduced to pickleball while traveling in Arizona. Avid tennis players, they quickly fell in love with the sport that combines elements of badminton, tennis and table tennis. The Earlys soon began playing pickleball on the tennis court in the backyard of their home in the Macedonia community of Canton. They began promoting the sport, and over the past seven years, the number of players making use of their facility increased so much that they began putting up temporary nets. 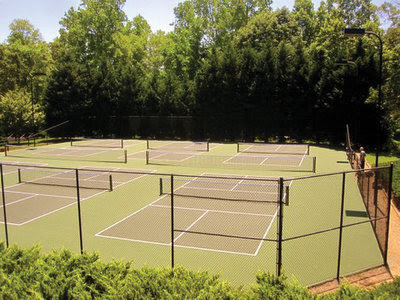 With 30 regular players, and 50 more who would occasionally play, the temporary courts soon became too much work to maintain.